strengthMuscle strength and power that takes place in Underwater Diving, that is, helps you develop both brute force compared with other physical activities or sports. EnduranceCardiovascular endurance constantly providing Underwater Diving practice, that is, how much help you cope ejercitándote long compared to other sports or physical activities. 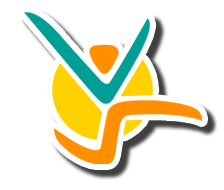 AgilityAbility to move the body as desired quickly and accurately obtained by practicing Underwater Diving, constantly compared to other physical activities or sports. ReflexesAutomatic responsiveness to stimuli is achieved spontaneous Underwater Diving, practice compared to other sport or physical activity. AccuracyHow much will dominate specific body movements to achieve the same result to practice Underwater Diving, compared to other sports or physical activities. BalanceBoth are able to control the body's muscles to prevent the imbalance by making Underwater Diving unlike other sports or physical activities. ConcentrationThe ability to focus mind and senses intention to achieve a specific goal that is acquired by practicing Underwater Diving, compared to other sports or physical activities. ToningStylization of the body and muscle derarrollo pruduct of optimal levels of body fat that comes from Underwater Diving, compared to other sports. Calorie BurningThat many calories are burned while practicing Underwater Diving, when compared to other sports or physical activities. Diving is the act by which a man is immersed into water bodies, whether sea, lake or river, in order to develop a sporting, commercial, scientific research or military activity, with or without help of special equipment. 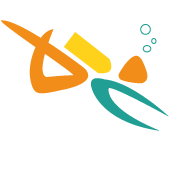 The scuba diving is practiced in 2 ways, free diving, which is in apnea or lung, and scuba diving, by the acronym SCUBA (Self-Contained Underwater Breathing Apparatus). These practices can be either recreational activities scuba diving and sports (professional). 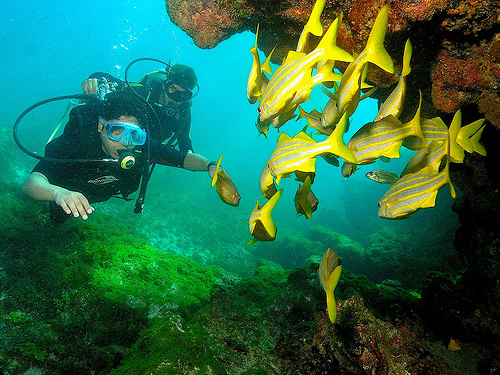 The limits for diving to a professional are 100 meters and up to 30 or 40 meters in the recreational. The diving begins with the development of the "automatic demand regulator" invented by the French commander Jacques Yves Cousteau and engineer Emile Gagnan, based on versions of historians such as Pliny, Thucydides, Livy, Herodotus, Aristotle Plutarch, Vegetius, and so on. Which provide references to more than 4,500 years old, it is clear that the reality is another to and that the motivations for man plunged into the sea were getting food, fishing for sponges, corals, pearl oysters , carrying out feats of war between the peoples of antiquity, and others. The first news we have of the practice of immersion from the year 168 BC, when divers were used to recover the treasure that Perseus, last king of Macedonia (Greece), jumped into the sea with the riches of his palace. Never enter the water walking on live corals and plants. Check the dropping place anchor where the anchor of diving from a boat. Take care of underwater life. Never try a dive if you feel uncomfortable. During the descent, you should gently equalize your ears and mask. At depth, never dive outside the parameters of the dive tables or your dive computer. Never hold your breath while ascending. You should always ascend slowly while breathing normally. Familiarize yourself with the underwater area and its dangers. Learn which fish, coral and other hazards to avoid injuries do not occur. Be aware of the currents and tides of the place where diving. Never leave controlled by the panic when you are under water. If you get confused or afraid during a dive, stop, try to relax and thoroughly examine the problem. Get help from your buddy or your dive master. Always plan your dive, and always follow your dive plan. Always stay inside the limits that do not require decompression. Make sure your diving equipment you have is appropriate for planned dive and that works properly. Never drink alcohol before diving. Never dive while taking medicine unless your doctor tells you it is safe. Diving can be dangerous if you have certain medical problems. Ask your doctor how diving can affect your health. Cave diving is very dangerous only be attempted by by divers with proper training and equipment. If you do not feel well, or if you feel pain after diving, go immediately to the nearest emergency room. Do not fly, even in a pressurized airplane over the next 12 hours after making a no-decompression diving. If your dive required decompression stops, do not fly for at least 24 hours. Sport discipline and recreation in which decompression is not needed since the diving is done with time and depth limits. Done at depths greater than 60 feet and up to 130 feet. It is generally used to explore sunken ships using computer and guide lines. 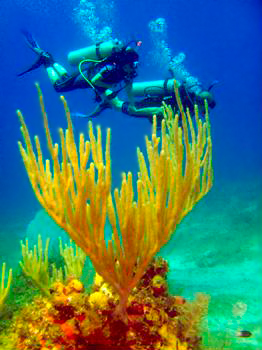 The diver is connected by a hose to an air which is on the surface, keeping it limited however allows stay long under water. 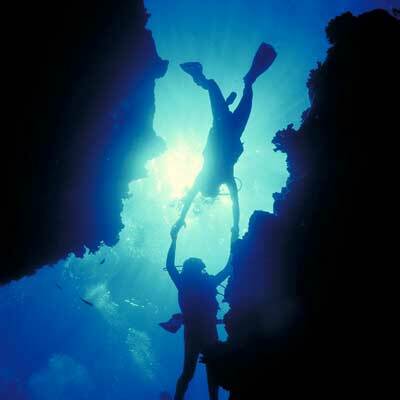 This type of diving is used for commercial or scientific purposes. The diver uses a compressed air bottle breathing (tank) that allows go at least an hour giving with freedom. PADI, diving tours and lessons, snorkeling lessons.